Newborn breathing after birth is crucial for a baby's life. 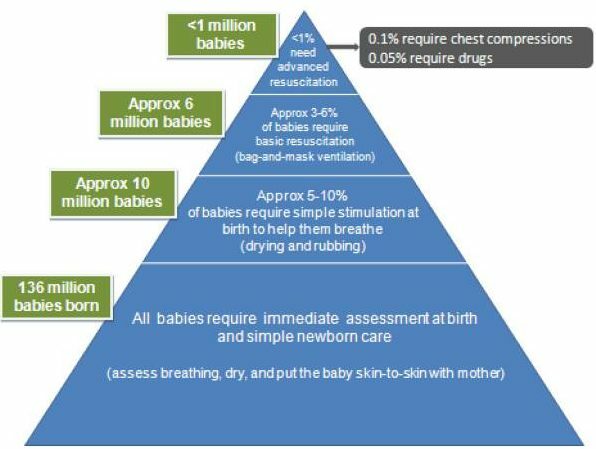 Here is some data on newborn breathing. From: BMC Public Health. 2011; 11(Suppl 3): S12.